Scary Terry's World: More Wild Dog! 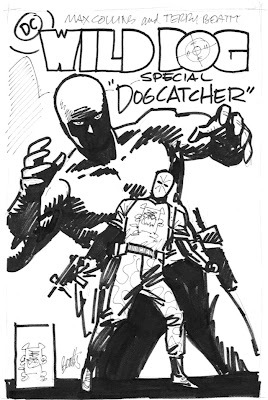 Sorting through my files, I stumbled across these Wild Dog cover roughs that I'd completely forgotten about. Well, it was two decades ago, y'know! 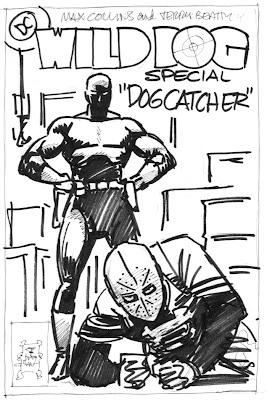 These are all very different from the final cover of the Wild Dog Special (WD behind bars). Drawn with marker on typing paper.